We all know that the commercial property policy specifically excludes equipment breakdown. Good thing there's an equipment breakdown policy available.. But what does it actually do? Who really needs this coverage? Join us as Craig Andrews helps us understand this misunderstood coverage, including why more customers than we think really should have it. 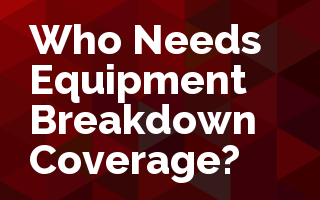 Discusses specific equipment vulnerable to perils excluded in Commercial Property forms and how Equipment Breakdown fills those gaps.